Upgrade your PC-3000 Express to Rev.2.0 with the new Intelligent Power Supply Unit! As you already know, our data recovery flagship has been renewed recently. Since then, we have received a lot of requests about the possibility to upgrade to PC-3000 Express Rev.2.0. 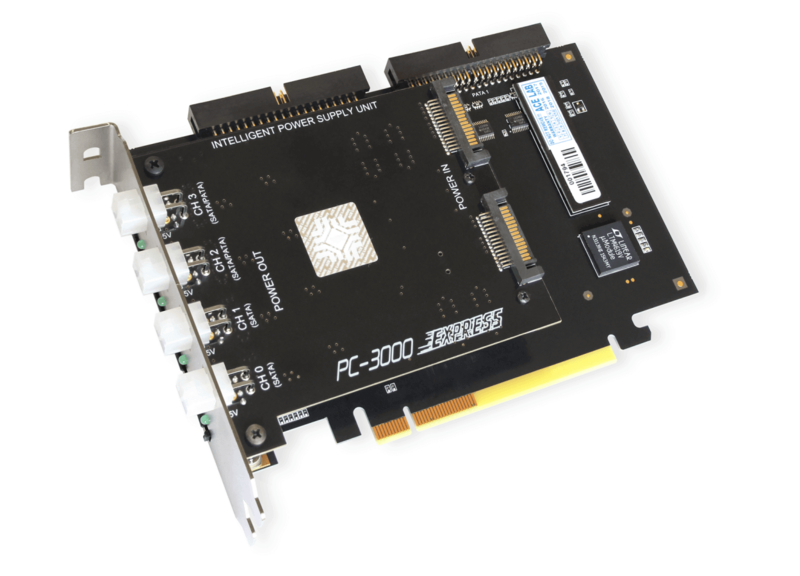 And today we are glad to announce that all users of PC-3000 Express Rev. 1.0. can upgrade their hardware to Rev. 2.0. All you need is to get the new Intelligent Power Supply Unit with oscilloscope functions just for €495. You can replace the previous version of the power supply unit with the new one. There is no need to replace the PC-3000 Express board itself. Due to its oscilloscope functions, the Intelligent Power Supply Unit enables you to diagnose HDDs in a much more efficient way. All the new functions are available starting from the latest PC-3000 software version 6.3. The Intelligent Power Supply Unit has a new system of drive protection against overcurrent and overvoltage. 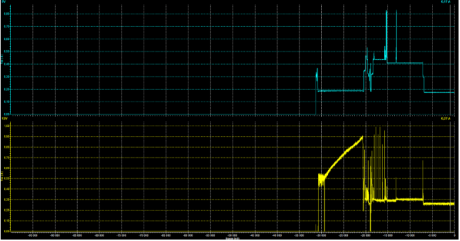 It is also helpful when there is no incoming power voltage. In case of overcurrent, the protection device is activated and the corresponding power channel is powered off. The new intelligent Power Supply Unit of PC-3000 Express has a small beeping speaker which can warn you about issues with the power supply unit of your PC or about overcurrent supplied to an HDD. The Power Supply Unit uses new POWER SATA ports for more reliable power supply to the PC-3000 Express board. Summing up, the new Intelligent Power Supply Unit has significantly facilitated the HDD diagnostics process and has enhanced the reliability of PC-3000 Express. Welcome to our Blog to see how all these features can be applied to live cases. Please note that the new Power Supply Unit should be installed manually by yourself. We kindly ask you to be careful during the installation of the new Power Supply Unit. The Installation Instructions are available here. If you feel not confident to replace the Power Supply Unit on your PC-3000 Express board yourself, you can order this service from ACE Lab. Price for the Intelligent Power Supply Unit, installation, full diagnostics and testing your PC-3000 Express: €650 plus shipping cost in both directions. To get the Intelligent Power Supply Unit and know more about its installation, please send a message to info@acelaboratory.com or contact your personal sales representative.